Right to avail free legal aid is there in our constitution. A rich person can hire a lawyer and can access to highest courts in the country . while a poor person cannot afford justice today. Legal system in India is expensive and calls for immediate concern for the cause of poor and marginalized people in the society. Article 14 of our constitution says everyone is equal in front of law. this also means every person has a right of equal representation. so that rich person may not oppress the poor in courts. People fear to fight against rich persons because they can’t afford, this type of oppression is a bad precedent for progressive society. if the society has to progress then Article 14 of our constitution i.e right to equality must be upheld by the government in full letter and spirit and right for quality representation must be a mandate for the poor and the marginalized. Giving equal representation in court of law is called Access to Justice. But what if the legal battle is between a rich person and the poor person? Now these people require social assistance to have an effective representation before various courts in India including Hon’ble Supreme Court. Every State in India have State Legal Service Authorities SLSA which is controlled by National Legal Service Authority called NALSA. Many legal aid counsels work for State legal service authority and people approach to State Legal service Authorities for a grant of legal aid counsel to them. In Delhi we have DLSA for every district courts in Delhi. Now these SLSA also organize legal literacy campaigns and take assistance of various legal counsels in every district of the country by distribution of pamphlets, talk shows, nukkad natakto marginalized people and their communities they create awareness. The legal aid advocates of the SLSA also visit various schools for legal literacy among the school children regarding the POSCO act(Child related sexual offences), registration of FIR and legal aid in every court of this country. So that children of this country empowered about working of legal system in India. By managing two areas one is legal awareness and other area of legal aid the legal services authorities of this country are working day in and day out to promote access to justice. so that the marginalized people are not left out in a quest for justice and approaching courts is not a luxury for rich people only. Normally legal aid advocates are doing work related to legal aid and are allotted nominal cases. there is division of panels in state legal services like civil, criminal, family panels. pay structure of legal aid counsels are fixed by SLSA and the counsels are not allowed to charge from legal aid beneficiaries. Other legal initiative of legal aid authorities is National Lok Adalat created to promote settlement of disputes in quick manner. it is organized in every court once a month. so that in cases where settlement is possible. The National Lok adalat is organized to reduce pendency of cases. which is seeing a downward trend in recent years. The legal service authority must be credited for such a large scale initiatives to promote access to justice and making justice easier and upholding constitutional mandate. 1. Lack of skilled advocates- Lot of skilled advocates in our country are working for big law firms or doing junior-ship under a big senior. 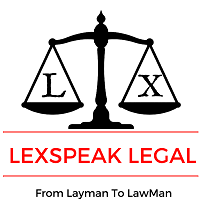 the functioning of legal aid counsels requires a lot of devotion of time, since skilled lawyers most of them have no time to devote the SLSA have lot of unskilled lawyers which is fatal. 2. Lack of funds and low payment scale- even the pay scale of em paneled advocated in SLSA is low. Due to lack of funding. That makes even less lawyers motivated towards the Legal aid. 3. Lack of training of volunteers and advocates-The training facility in legal aid centers are very minimal, this effects performance of lawyers in courts. since most of the lawyers in SLSA are young and inexperienced the quality suffers. 4. Poor handling of legal aid beneficiaries-Since the lawyers in SLSA are not trained properly in handling marginalized people. there is a communication gap this can be fatal in the case in court. 1. More funding-: the government should increase funding to SLSA’s so that there is no fund crunch and legal aid advocates are paid at par with law firms. It will attract more talent. 2. Trained trainers- the government or the High court should make it mandatory for all senior advocates to dedicate some time towards imparting required skill set to legal aid advocates. so their quality will be at par with any other advocates. 3. More awareness- More funding to SLSA means more awareness among the needy people to avail this service and therefore will increase the access of justice among all strata of society.